29th Sept. - 29th. 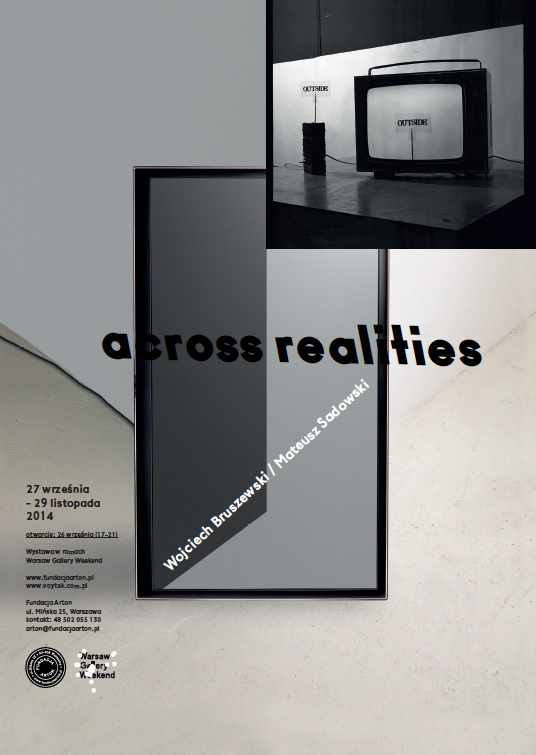 Nov.
across realities presents video installations by Wojciech Bruszewski (1948-2009) and works by Mateusz Sadowski (b. 1984). The exhibition results from nearly two years of Arton’s work on Bruszewski’s private archive, which made it possible to reconstruct some of his unpreserved works, among others, the installation Outside (1974-75). The following fragment of the artist’s text accompanying that work can be considered as the essence of Bruszewski’s practice: “What I do is nothing else than setting traps for WHAT EXISTS. I try to set the traps on the borderline of the “spiritual” and the “material”, of what we “know and think of” and what “there is”. The exhibition across realities attempts to present this understanding of Bruszewski’s practice, whose systematic pursuit was to lead, according to the artist, to laying bare the discrepancies between “what we think” and “what exists”. As a consequence, it was to manifest the schematic character of human thinking, and perhaps more importantly, lead to the destruction of the convention of “what exists”. In these activities, Bruszewski treated mechanical and electronic means of transmission as “clear and unlimited by mental schemes”. 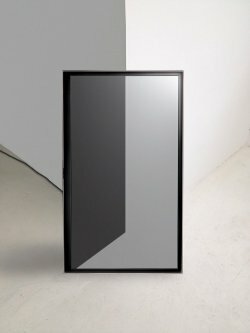 Mateusz Sadowski uses similar tools to present the fragments of reality that manifest themselves when what we perceive as objective phenomena (such as, for example, time or space) becomes changeable, individual, one’s own, and therefore unique. 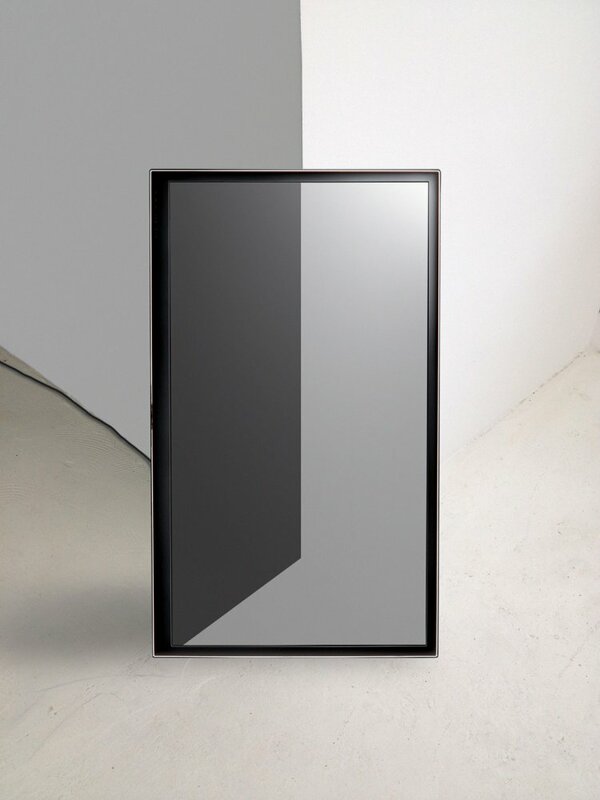 The artist’s works, such as the project Here (2014), result from activities aimed at broadening the viewer’s field of vision and perception, as well as multiplying their possible points of view.